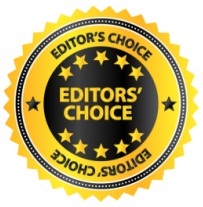 You might have noticed the Editor's Choice emblem we've added to about 40 articles. We've selected these articles -- out of the more than 550 articles now available on PlannersWeb -- as being of particular value to new planning commissioners. We'd also strongly recommend our entire series of articles on ethical issues planning commissioners often face (useful reading for veteran planning board members, as well). If you're a staff planner, feel free to browse through our selection and print out any articles you'd especially like to ensure your new board members have a chance to read. 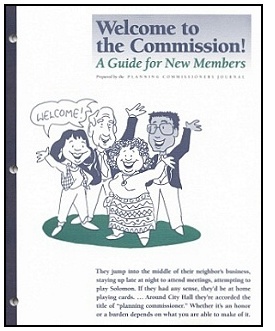 If you're looking for a bound booklet to hand to your new members, consider ordering our printed Welcome to the Commission Guide for New Members. Over the years, it's proved our most popular publication, with many planning departments ordering extra copies to have on hand to give to new planning board members. PlannersWeb members receive a substantial discount on the price of our Welcome Guide. 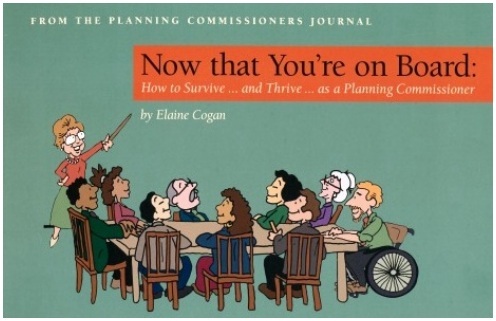 I don't want to forget to also mention Elaine Cogan's very helpful and easy to read Now that You're On Board -- How to Survive ... and Thrive ... as a Planning Commissioner. While it's no longer available in print, PlannersWeb members can download a copy at no charge. Note: if you're not familiar with PlannersWeb, a quick word. We transitioned from the printed Planning Commissioners Journal to our online PlannersWeb.com site in September 2012. Most articles dated between 1991 and 2012 are available to PlannersWeb members as pdf downloads (formatted as they were when printed in the Planning Commissioners Journal). Articles since then are available in an online format, and can be printed out in a very readable layout by using the print icon at the end of the article.